Quality One Roofing, Inc understands that the key to continuing business with new and existing customers is top-quality workmanship and customer service. We spend as much time as necessary with our customers to understand the condition of the roof and the scope of the project. 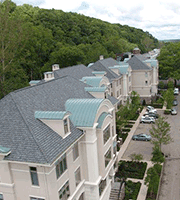 We install all types of roofing products on residential homes common in the New Jersey and Pennsylvania area. Whether your project requires fiberglass composition shingles, metal, standing seam, tile, cedar shake (both real and imitation), or modified bitumen (torch down) roofing our team will provide top quality service that meets and exceeds your expectation. Call us for a free estimate. Our team is working in the New Jersey and Pennsylvania area 7 days a week and would be happy to stop by for consultation.